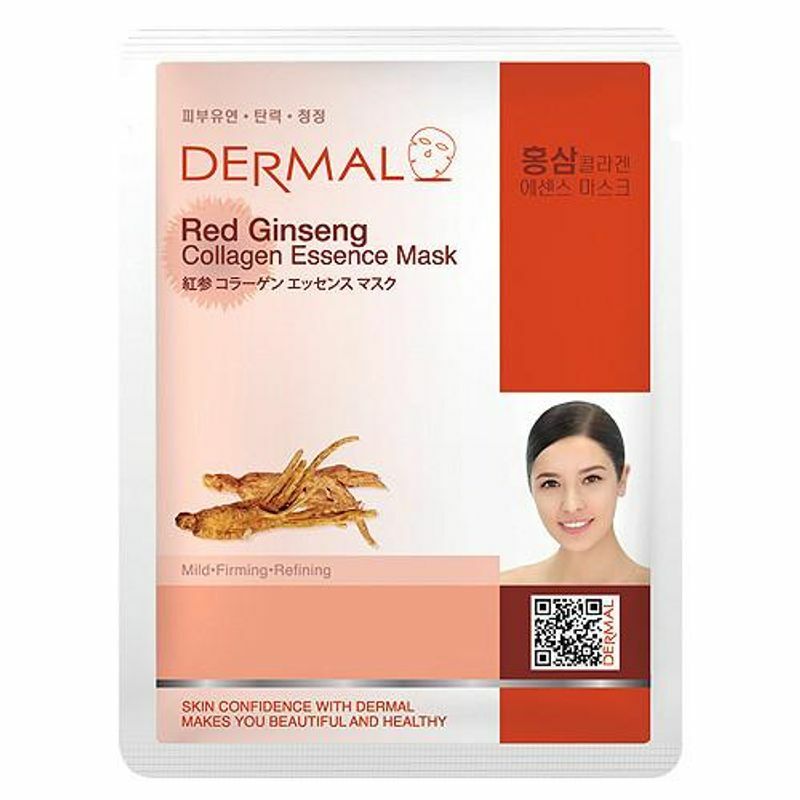 The Dermal Red Ginseng Collagen Essence facial sheet mask gives your skin an instant boost. Formulated with red ginseng, it's effective at nourishing, firming, refining, and revitalizing skin. It is a new essence mask with Red Ginseng extracts 1.0% and Hydrolysed Collagen 0.2 % which specially formulates cosmetics to penetrate highly concentrated active ingredients into the skin while keeping air out of the skin completely thus, it makes your tired skin moistened, elastic, clear and relieves your skin from stress.